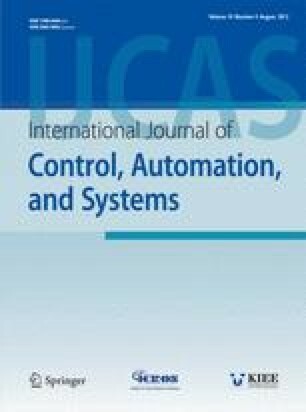 This paper addresses sensor fault detection and isolation problems for continuous- and discrete-time linear time-invariant systems. To that end, we employ a bank consisting of the same number of observers as there are sensors. Both the observer gain and the residual gain are considered. Unlike earlier work, the design conditions with H −/H ∞ performance are derived in terms of linear, rather than nonlinear, matrix inequalities. An illustrative example is provided to show the effectiveness of the proposed methodology. Recommended by Editorial Board member Duk-Sun Shim under the direction of Editor Jae Weon Choi. This work was supported by the National Research Foundation of Korea (NRF) grant funded by the Korea government (MEST)(No. : R01-2008-000-20844-0), and by INHA UNIVERSITY Research Grant. Sung Chul Jee received his B.S. and M.S. degrees from the School of Electronic Engineering, Inha University, Incheon, Korea, in 2009, 2011, respectively. He is currently pursuing a Ph.D. degree at the same university. His research interests include fuzzy control systems, fault detection and isolation, and their applications. Ho Jae Lee received his B.S., M.S., and Ph. D. degrees from the Department of Electrical and Electronic Engineering, Yonsei University, Seoul, Korea, in 1998, 2000, and 2004, respectively. In 2005, he was a Visiting Assistant Professor with the Department of Electrical and Computer Engineering, University of Houston, Houston, TX. Since 2006, he has been with the School of Electronic Engineering, Inha University, Incheon, Korea, where he is currently an Associate Professor. His research interests include fuzzy control systems, hybrid dynamical systems, large-scale systems, and digital redesign. Young Hoon Joo received his B.S., M.S., and Ph.D. degrees in Electrical Engineering from Yonsei University, Seoul, Korea, in 1982, 1984, and 1995, respectively. He worked with Samsung Electronics Company, Seoul, Korea, from 1986 to 1995, as a project manager. He was with the University of Houston, Houston, TX, from 1998 to 1999, as a visiting professor in the Department of Electrical and Computer Engineering. He is currently a professor in the School of Electronic and Information Engineering, Kunsan National University, Korea. His major interest is mainly in the field of intelligent robot, intelligent control, and human-robot interaction. He serves as President for Korea Institute of Intelligent Systems (KIIS) (2008–2009) and Editor for the International Journal of Control, Automation, and Systems (IJCAS) (2008–2012).